Electric Flute Quick-Start Guide -- FREE! Melissa uses a K&K Sound Systems "Silver Bullet" condenser microphone. 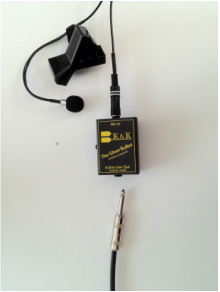 This clip-on style mic attaches directly onto the headjoint. K&K Sound Systems -- "Silver Bullet"
Melissa is an Endorsed Artist by K&K Sound. Melissa uses a Powerwerks PA system with a PW100-H Mixer. Melissa uses the BOSS VE-20 for it's wide range of effects options in one stompbox. It has the capability to do effects such as distortion, delay, harmonization, octaves, strobe, flanger, radio, and others. It also has the ability to have user-created sounds and doubles as a loop station. BOSS VE-20 Vocal Effects Processor website. 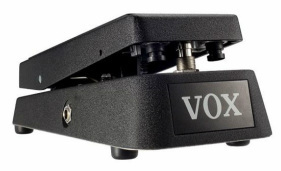 Although the VE-20 comes equipped with a delay capability, having it as a separate stompbox expands its flexibility and use. 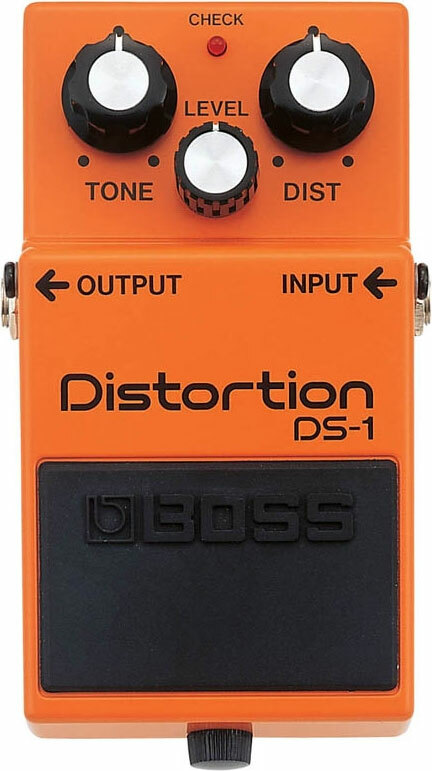 This BOSS effect allows sounds to be played not only in delayed patterns, but in reverse. 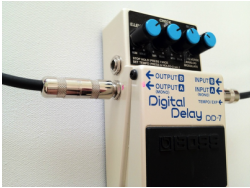 BOSS DD-7 Digital Delay website. This BOSS pedal is the key to creating that "fuzzy," grinding tone used by rock guitarists! Keep this one on when you want to really rock out! This cool pedal creates a "scoop" in the sound, which was originally thought to imitate the crying sound of a muted trumpet. The Wah is used by guitarists to create that "wacka wacka" sound in funk music. Alternatively, audio effects can be created with the computer using Ableton Live 8. Instead of using a stompboxes, effects can be generated and tweaked in the program and saved for later use. When paired with a MIDI pedal, the activation of computer effects can be controlled with this foot pedal instead of with the computer mouse. This pedal was built by Wittstruck Hand Made Electronics. Contact him if you are interested in one of these awesome custom pedals at wittstruckhme@gmail.com.